Summer is getting nearer in the Philippines. The months of April and May usually mark the start of the summer season here. Summer also is when trip to resorts and beaches is at its peak. In my workplace, one of the benefits we enjoy is having a free summer outing with the rest of my colleagues. I look forward on this activity because this is our rare chance to take time off from work, bond with my few workplace friends and take pictures of happy memories. Last year, we went to Club Balai Isabel. 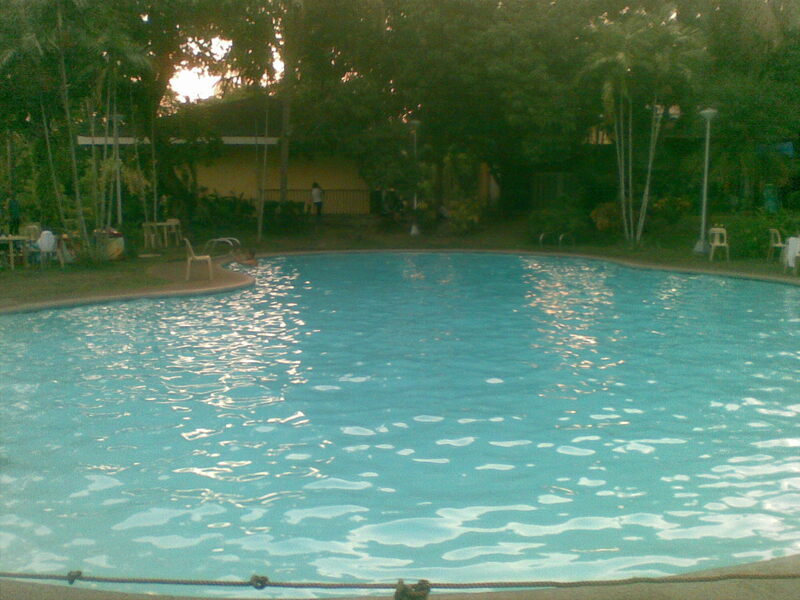 The place is located in Talisay, Batangas. Batangas is a town in the Philippines known for beaches. However, Talisay, Batangas is far different from the beaches in the other areas of Batangas such as San Juan, Calatagan, etc. Talisay is surrounded by the still waters of Taal Lake. I am not actually a fan of populated and congested beaches. If I would define vacation, that would be a place where there are less people, quiet and peaceful place to rest and sleep, scenic and breathtaking views, closer to nature, well cooked, healthy and delicious food. These are what I found at Club Balai Isabel. Here are some of the few pictures at Club Balai Isabel I have captured.. This is the main attraction at Club Balai Isabel. The shore of the still waters of Taal Lake. Another view of the Taal Lake from the dining area. Can you see the white boat? That boat can give you a tour to Taal Lake while being served your preferred meals. This area is very ideal for those who want to have breakfast or dinner by the lake. Bahay Kubo or houses made from bamboo and other types of wood. Bahay Kubo is known as the primitive houses in the Philippines. This is what will front you at Club Balai Isabel. This is how the reception and waiting area were constructed. Wooden furniture, plants and a man made falls. You read it right! The picture shows floating swimming pools. Though Taal Lake has still waters, it is unfortunately not ideal for swimming. But if you are really in the mood for swimming, you can try the floating pools. Who wants to have breakfast or dinner by the lake? Sorry for the blurred shot, I forgot to bring my camera here. 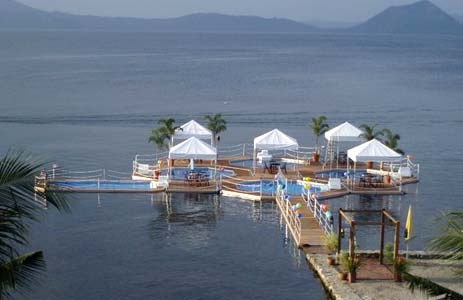 Club Balai Isabel has two swimming pools and this one of them. Diane, this is such a beautiful place. I have never seen floating pools before and was intrigued by them. I know you must have had a fun time. Thanks for the nice post.